I Crying Steel nascono a Bologna nella primavera del 1982. I fondatori sono Alberto Simonini (chitarra) e Angelo Franchini (basso) ai quali si aggiungono Luca Bonzagni (voce) e nel 1983, dopo vari cambi di line-up, Luca Ferri (batteria) e Franco Nipoti (chitarra). 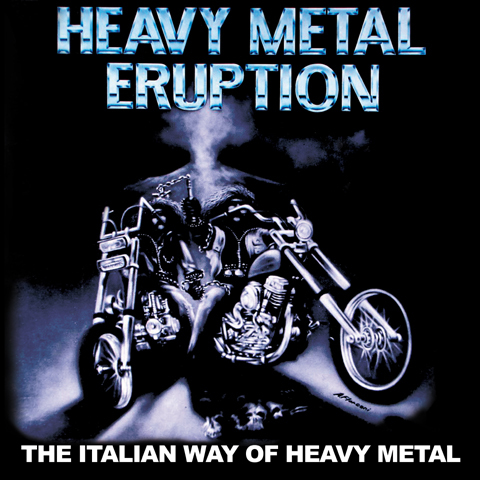 Dopo il loro primo demo vengono notati dal noto giornalista Beppe Riva di Rockerilla che li inserisce nella compilation "HM Eruption, The Italian Way of Heavy Metal" con il brano "Thundergods". Nel 1984 e' gia' pronto un nuovo demo, che spiana la strada al successivo EP "Crying Steel", pubblicato sempre dalla label "Metal Eye" nel 1985. Nei due anni successivi il gruppo intensifica l'attivita' live suonando in tutta Italia: in particolare da citare l'esibizione all'Heavy Metal Festival di Bologna nel giugno 1986 con Motorhead e Twisted Sister. esibirsi nuovamente nella formazione classica Simonini/Nipoti/Bonzagni/Franchini/Ferri, la stessa delle due precedenti uscite discografiche. Con questa nel 2006 iniziano le registrazioni del nuovo album "The Steel Is Back" che uscira' nel 2007, ma purtroppo dopo l'uscita dell'album sia Simonini che Bonzagni abbandonano ancora il gruppo. ospite Tony Mills (T.N.T, Shy) alla voce. 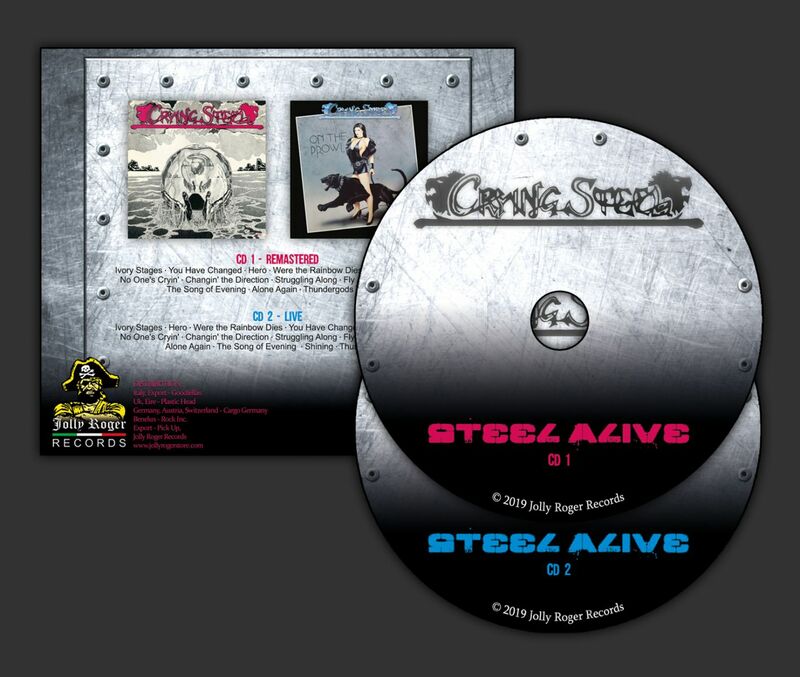 "Steel Alive" contiene nel CD1 le prime due uscite discografiche "Crying Steel" e "On the Prowl" completamente rimasterizzate, mentre nel CD2 un inedito live al Locomotiv di Bologna, registrato nel 2016 per festeggiare il loro 30° anniversario e contenente tutti i brani dall' "Ep" e da "On the Prowl". Crying Steel were born in Bologna in 1982. To the founders Alberto Simonini (guitar) and Angelo Franchini (bass) soon joined Luca Bonzagni (voice) and then in 1983, after several changes of line-up, Luca Ferri (drums) and Franco Nipoti (guitar). After their first demo-tape they are noticed by the well-known journalist Beppe Riva of Rockerilla magazine who included them in the compilation "HM Eruption, The Italian Way of Heavy Metal" with the track "Thundergods". After a new demo in 1984 it's time for the EP "Crying Steel", published once again by Metal Eye label in 1985. In the following two years Crying Steel intensified the live activity playing all over Italy, to mention the performance at the Heavy Metal Festival in Bologna in June 1986 with Motorhead and Twisted Sister. After two demos in 1985 and 1986 they released the first album "On the Prowl" in 1987. 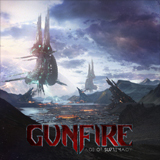 Revolutionary album for the New Wave of Italian Heavy Metal (NWOIHM) not only for the musical style but also for the sound, recording process and format, infact is published not only on Lp, but also on CD, absolute innovation for the time. In September 1988 Simonini and Bonzagni left the group, then several line-up changes happened, although in 1994 and 2003 Crying Steel reunited again with the classic line-up Simonini / Nipoti / Bonzagni / Franchini / Ferri, the same of the two previous releases. With this, in 2006 they began the recording-sessions of the new album "The Steel Is Back", released in 2007, but unfortunately just after the release both Simonini and Bonzagni left the band once again. In 2013 they released "Time Stands Steel", the first with a new line-up, featuring Stefano Palmonari on vocals; in 2014 they played live at the prestigious Wacken Open Air Festival representing Italy, in 2018 it's time for the new album "Stay Steel" with special guest Tony Mills (T.N.T, Shy) on vocals. 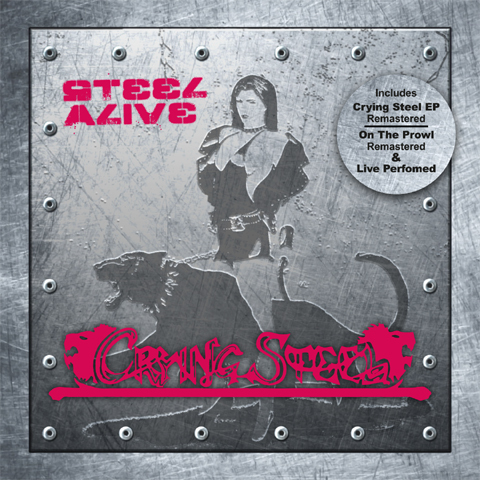 "Steel Alive" contains on CD1 the first two releases "Crying Steel" and "On the Prowl" completely remastered, and on CD2 an unreleased live at the Locomotiv club in Bologna, recorded in 2016 to celebrate their 30th anniversary and featuring all tracks from "Ep" and "On the Prowl".